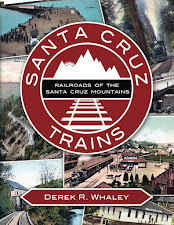 When the South Pacific Coast Railroad first surveyed its route through the Santa Cruz Mountains in 1877, the Santa Clara Valley Mill & Lumber Company made a recommendation to them in regards to the route of the right-of-way. The Dougherty family had been operating mills in the Los Gatos Creek basin for over a decade by this point, but their timber tracts were quickly being depleted. An initial attempt to use Mountain Charlie Road to haul timber over from Zayante Creek proved to be too costly and difficult. However, the coming of the railroad gave them a new option—hauling by train. 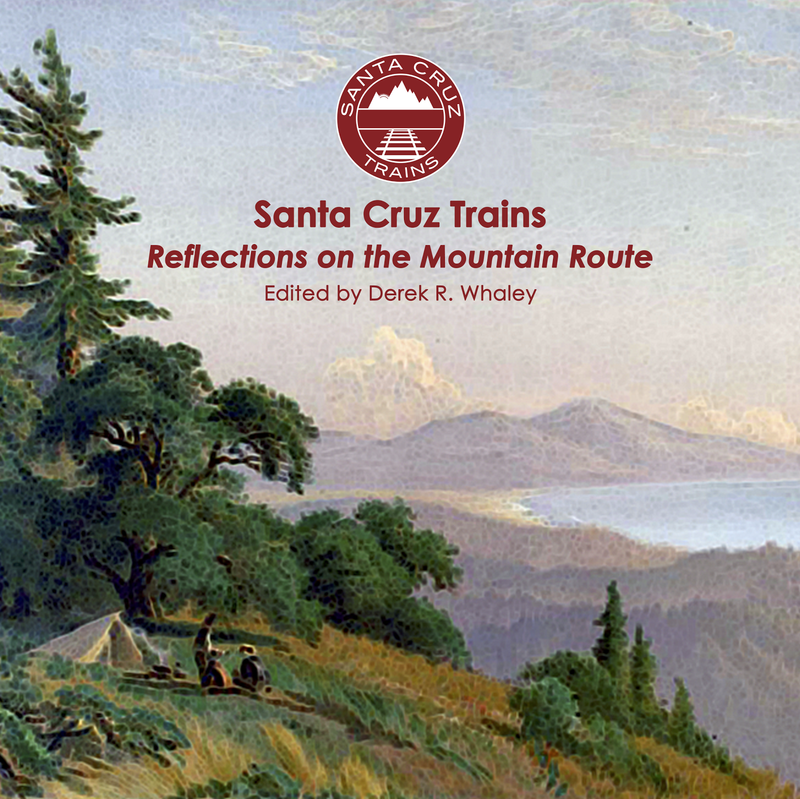 By 1878, the route to Santa Cruz had been decided and it was agreed that it would pass into the San Lorenzo Valley via Zayante. 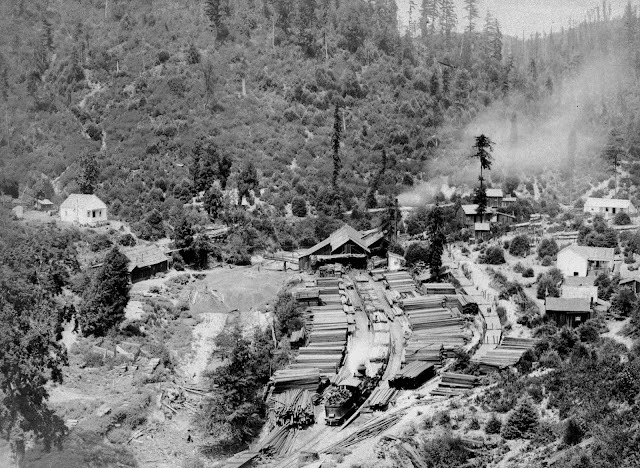 The Doughertys began building their mill at the confluence of Zayante Creek and Mountain Charlie Gulch, a naturally low place where a mill pond could be easily maintained. However, the issue of hauling the cut timber remained due to the fact that the right-of-way sat on a shelf high above the valley floor. Probably in early 1880, immediately after the main track was installed along the South Pacific Coast's right-of-way, Dougherty crews began building a spur that broke off from a location just north of the Zayante Tunnel (Tunnel #5). Built on a tight budget, the track crossed Zayante Creek on a high and rather rickety trestle bridge before switchbacking at least once to ease the descent down to creek level. Once at creek level, the narrow-gauge route continued north for approximately 1.7 miles, roughly following the modern-day alignment of East Zayante Road until it reached the mill. Although historians have speculated that the track was extended up to two miles further, photographic evidence of the mill does not support this assertion and instead shows a well-made skid road heading to the north. The narrowness of the canyon to the north makes such an extension unlikely. The mill itself, constructed around 1879, was run by William Patrick Dougherty and his brother James. It was a hugely successful operation and perhaps the most profitable industrial venture along the newly-built railroad route. Wood cut at the Zayante Creek mill was shipped primarily to the company's primary yard in Santa Clara, although a decent portion made it to Loveladys, where it was transferred for use in the New Almaden Quicksilver mines. The mill was capable of producing 30,000 board feet of lumber daily and employed up to 125 men per summer. The community at Zayante was so remote in the 1880s that it had to be self-sustaining. The site hosted a school, a general store, and homes for workers and their families. Disaster struck in 1886, though. At the height of the lumber season, the primary mill burned to the ground. Although the company quickly recovered and constructed a temporary mill, the fire marked the end of an era. By the close of 1887, the company shut down the mill and transferred most of their supplies to Boulder Creek, where from early 1888 they built a private railroad north to a new mill along the San Lorenzo River. With the relocation of the mill, Dougherty's Spur fell into disuse. The station at the grade was briefly renamed Zayante in 1889, but Dougherty's Spur was broken off as its own stop 0.4 miles to the south the next year. Zayante became Meehan in 1892. An entirely different stop at a location further to the south called Kenville then replaced Dougherty's Spur in 1893. While what actually occurred during this years cannot be determined for certain, what likely happened is that the Santa Clara Valley Mill & Lumber Company was responsible for the spur lines demolition. Probably beginning in 1888, the company began tearing up the rails, piece-by-piece, for use on their new line near Boulder Creek. Because of this, parts of it may have remained intact as late as 1892, when the stop was permanently removed from Southern Pacific Station Books. Regardless, it seems certain that the spur was no longer in use once the mill moved so its inclusion on agency books was undoubtedly for administrative reasons. The precise location of the Dougherty's Spur stop along the grade is uncertain but is likely slightly south of the point where Western States Drive crosses the right-of-way. A remnant of the former trestle bridge over Zayante Creek can be seen along this road on the north side as one crosses the Zayante Creek automobile bridge. Only the east bank of the bridge survives since a home has been built on the west bank. The orientation of the bridge and later developments in the area have made it difficult to determine the precise method by which the tracks approached the crossing. 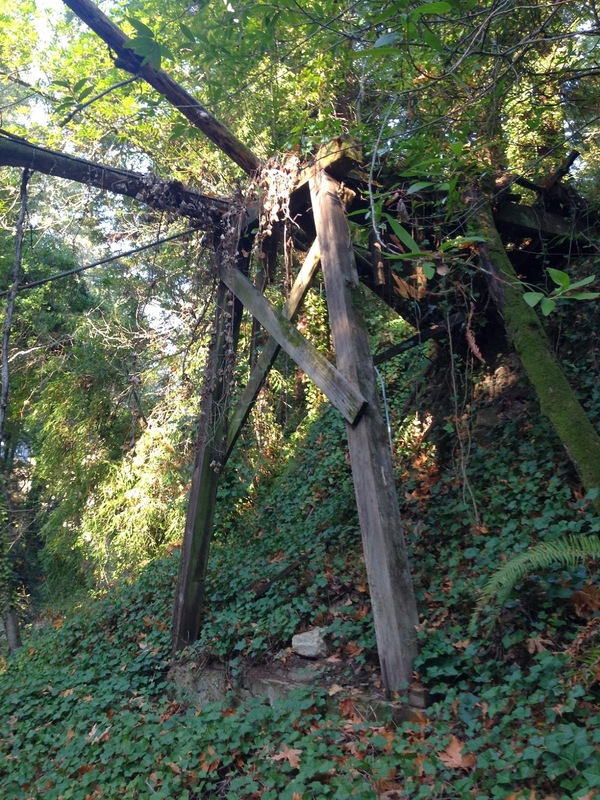 Nothing else survives of the former right-of-way along East Zayante Road to the mill. The site of the mill itself is now mostly a private residence which can be seen across the creek from Upper Zayante Road in a section of road between two bridges that briefly lead motorists to the east bank of the creek. Except for some concrete relics scattered along the creek bed, nothing survives of the mill. Clark, Donald T. Santa Cruz County Place Names: A Geographical Dictionary. Scotts Valley, CA: Kestrel Press, 2008.